In the year 1908, Maurice Ravel composes 5 short piano pieces called "Ma mère l'Oye", written for 2 children : Mimie and Jean Godeski. Very similar to the Erik Satie's linear melodies, "Ma mère l'Oye" invites us to the enchanted world of childhood through 5 tales : "Pavane de la belle au bois dormant", "Petit Poucet", "Laideronnette impératrice des pagodes", "Les entretiens de la belle et de la bête" et "Le jardin féerique". 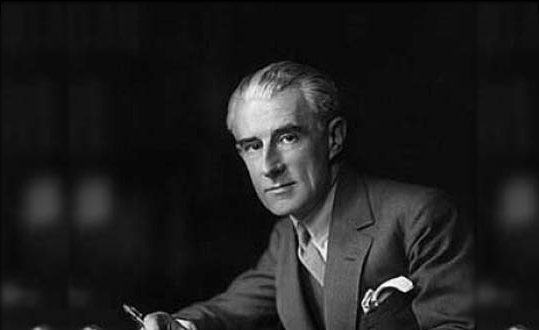 Dedicated to the childhood and with a great musical quality, this piece has a big public success when Ravel starts the orchestration for a first show on april 20th 1910. At this time, the manager of the "arts theater" decides to create a ballet even if the piece did not present any analogy with a dance or stage music at all. From this time, some pieces were added to the original work such as a prelude and the famous "danse du rouet", punctuated by different interludes. These changes allowed the piece to be performed as a fancy-dress ballet on january 21st 1912. The "petit poucet" changes the atmosphere with a 1st theme in the oboe solo, accompanied by descending scales of the violins harmonized in third. We return now to the 1st theme on the first bassoon solo, with an E phrygian* mode, accompanied by strings and flute overtone gilssandos, imitating "bird singing"
But the frightening theme of the beast stops this waltz with a descending chromaticism in the low contrabassoon, alternating with the beauty's motive in F# played by the flute and oboe solo. Progressively Invading the orchestra, this theme is reversed, then introduces a luminous page in which the harp, the celesta and the woodwinds provide an accompaniment to the 1st violin solo. Pizzicato String technique consisting of plucking the strings with fingers in order to obtain a very dry sound. Syncopation Rhythm played on a weak beat and sustained with a slur or a dot, towards a strong beat.